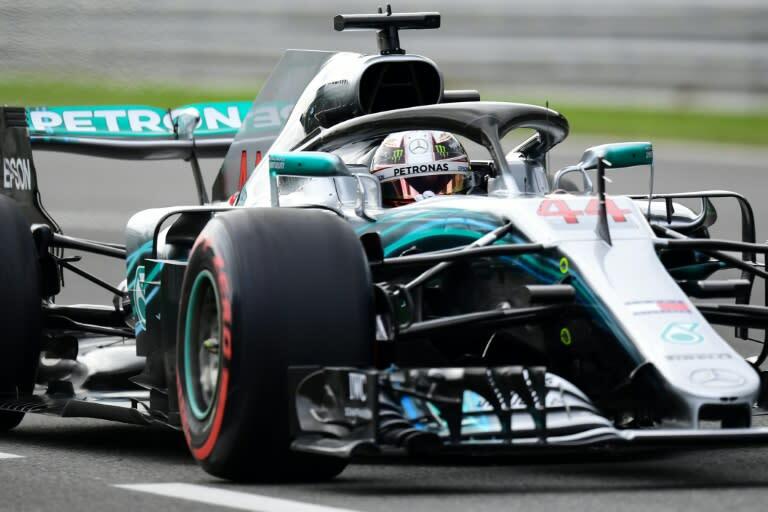 The defending world champion qualified third behind Kimi Raikkonen, who took pole with Formala One's record fastest lap, and title rival Sebastian Vettel, who is 17 points behind the Briton in the drivers' standings. After acknowledging Ferrari's marginally superior speed, he said: "The start will hopefully create an opportunity for us. "I've got to study hard tonight to figure out a way how I can get in front of at least one of the Ferraris on the first lap. "It's great that Valtteri is right behind me so we can really apply the pressure on the red cars," he said, referring to Mercedes teammate Valtteri Bottas. "They did a solid job," he said, during post-qualifying interviews on the track, when he was booed by sections of the partisan crowd. "We gave it everything we could - it's obviously incredibly close between us, but they've had the upper-hand this weekend. Everyone in the team is working as hard as they can to make the difference. "It's incredibly close, which is great for the sport and it’s great to see so many fans here. "We've improved the car overnight and I'm really happy with where we were today. I'm proud of my guys for pushing this hard. "We've squeezed absolutely everything out of the car, I kind of knew that the Ferraris might just be able to pull out some extra bit of time. Bottas, who battled to take fourth, said: "It has been difficult. We tried some set-up changes for final practice and it was better in the corners, but on the breaking I lost performance. It was easy to lock up. "But this is only qualifying and the weekend is not over. We will give it everything tomorrow in the race. The first lap is going to be interesting – we might get a bit of tow-effect into Turn One."